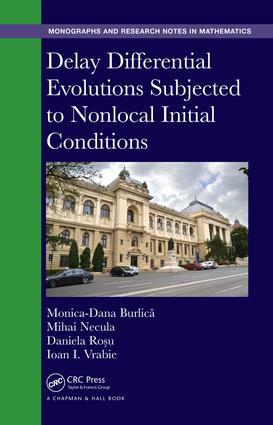 Monica-Dana Burlica is an associate professor in the Department of Mathematics and Informatics at the “G. Asachi” Technical University of Iasi. She received her doctorate in mathematics from the University “Al. I. Cuza” of Iasi. Her research interests include differential inclusions, reaction-diffusion systems, viability theory, and nonlocal delay evolution equations. Mihai Necula is an associate professor in the Faculty of Mathematics at the University "Al. I. Cuza” of Iasi. He received his doctorate in mathematics from the University “Al. I. Cuza” of Iasi. His research interests include differential inclusions, viability theory, and nonlocal delay evolution equations. Daniela Rosu is an associate professor in the Department of Mathematics and Informatics at the “G. Asachi” Technical University of Iasi. She received her doctorate in mathematics from the University "Al. I. Cuza” of Iasi. Her research interests include evolution equations, viability theory, and nonlocal delay evolution equations. Ioan I. Vrabie is a full professor in the Faculty of Mathematics at the University "Al. I. Cuza” of Iasi and a part-time senior researcher at the "O. Mayer" Mathematical Institute of the Romanian Academy. He received his doctorate in mathematics from the University “Al. I. Cuza” of Iasi. He has been a recipient of several honors, including The First Prize of the Balkan Mathematical Union and the “G. Titeica” Prize of the Romanian Academy. His research interests include evolution equations, viability theory, and nonlocal delay evolution equations.